After a bit of a break, I’m looking forward to a busy month of June here in Vancouver, starting on Friday where I’ll be playing a couple of shows at two different festivals. The first is earlier in the evening (8:15pm) at the China Cloud with Sun Ra’s Star System as part of the new Levitation-Vancouver Festival. 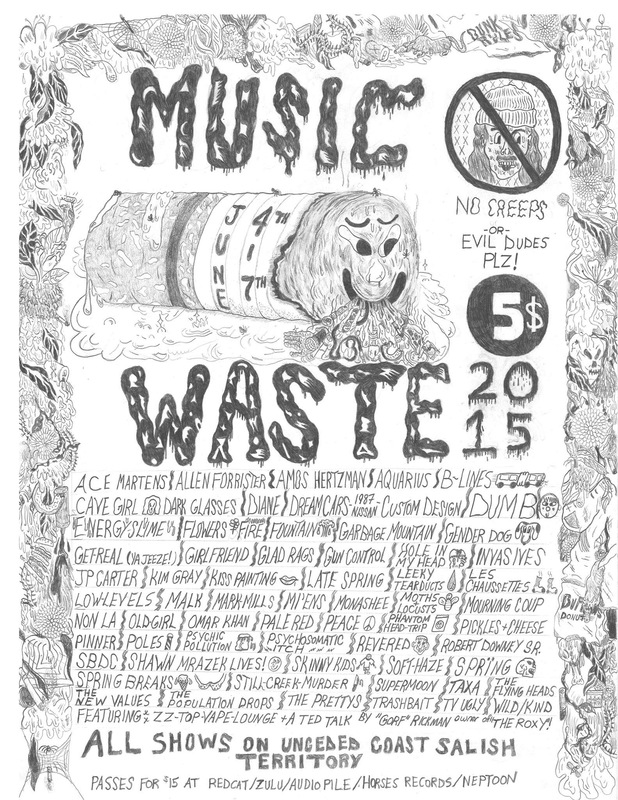 Then I’ll be heading over to Remington (108 E Hastings) for a 10pm solo set at the Music Waste Festival. Should be a fun evening. There’s lots of great music happening at both of these fests. Wish I could see it all, but I’m flying out to Toronto on Saturday to meet up with Dan Mangan + Blacksmith in time for our show on Sunday at Field Trip. We play on the Garrison Stage at 5:30pm. We’ll be sharing the stage with some great bands that night, including Father John Misty and My Morning Jacket. Also, my new buddy old pal Hayden just asked me to sit in on a tune during their set (6:45pm) on the Fort York Stage. Sweetness.